Below are a handful of behind the scene images taken over the last week. 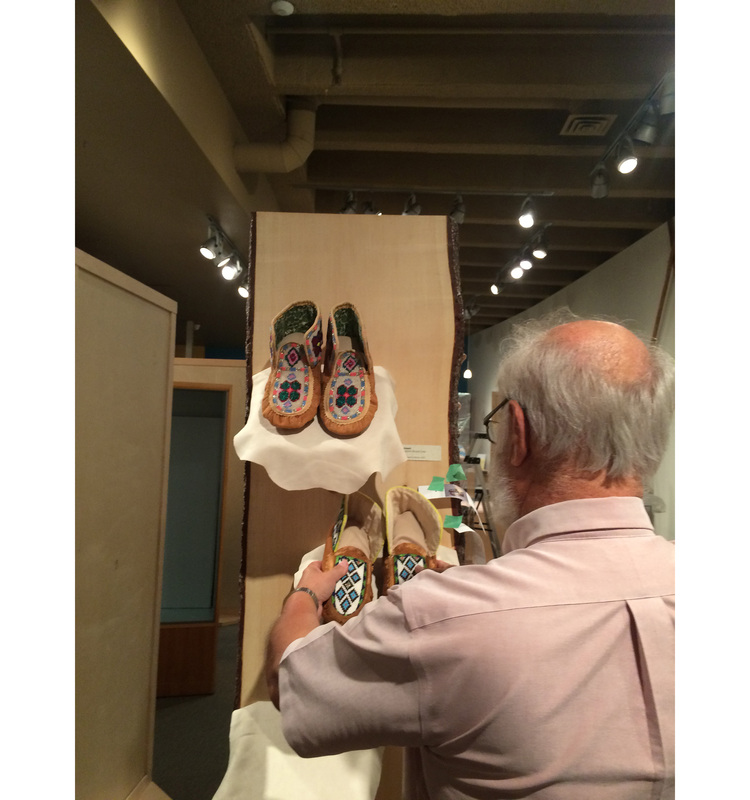 They show staff and volunteers working hard to prepare over 100 pairs of moccasins and mukluks for the exhibition In Their Footsteps. 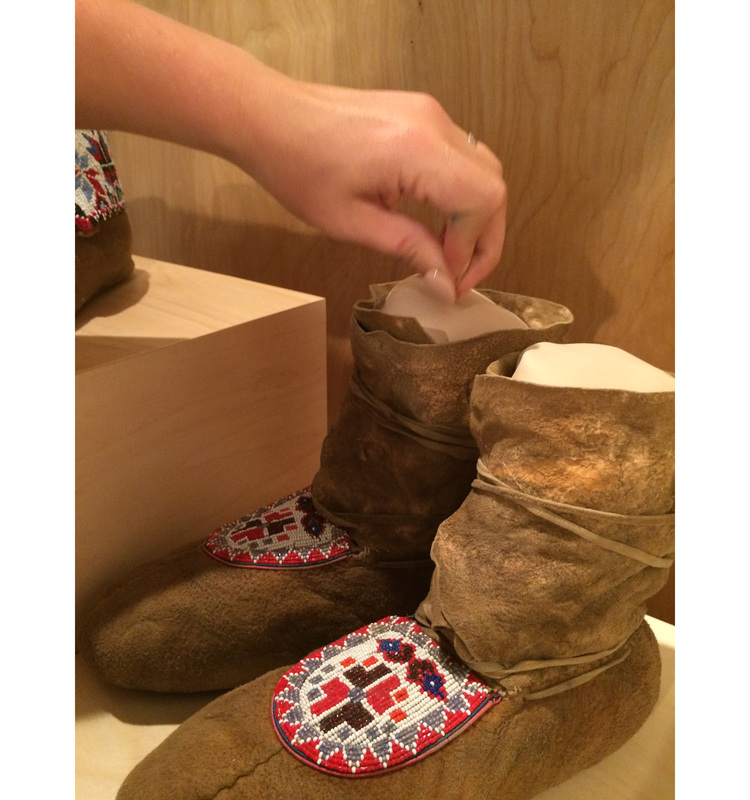 Michelle Tracy, one of the guest curators, mentioned how moccasins with fabric lining can potentially be dated based on the fabric used and when it was fashionable. 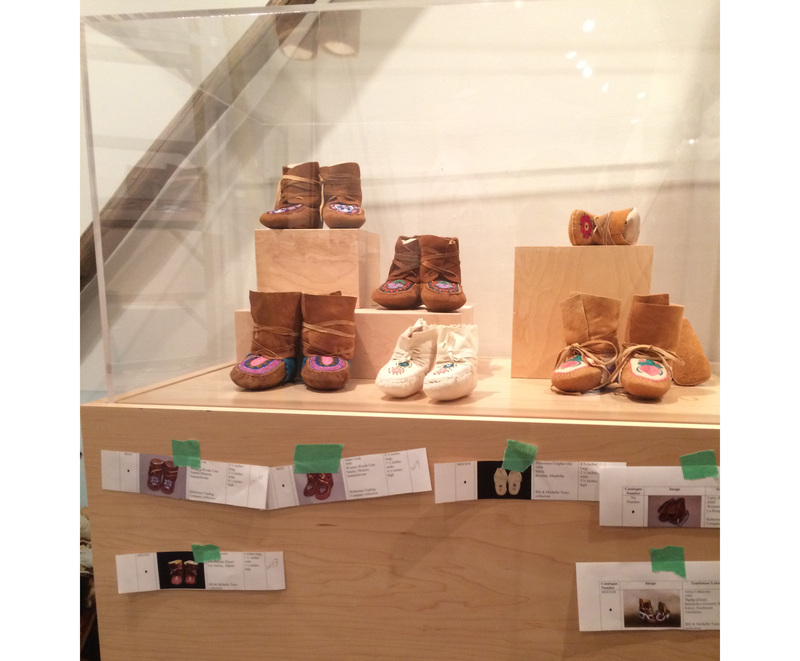 We invite you to come and challenge yourself to guess the date of moccasins before reading the label. And a much bigger challenge will be picking one pair as your favourite. In Their Footsteps opened at the Musée Héritage Museum on August 21 and will run until October 21, 2018. The opening reception is on August 23, 2018 from 6–8:30 pm. The exhibition will be at the Musée Héritage Museum in St. Albert until October 21, 2018. The museum is open Tuesday–Saturday 10 am–5 pm and Sundays from 1–5 pm.